The Samsung Galaxy S5 has been available on Verizon for $99 from Amazon since it was still in pre-order. But they’ve been sold out the entire time, until now. Finally the Galaxy S5 for Verizon is back in stock on Amazon, so you can order yours for $99. It’s half the price of getting it straight from Verizon, and a whole lot easier as well. The Samsung Galaxy S5 features a 5.1-inch Super AMOLED 1080p display, 2GB of RAM, Qualcomm Snapdragon 801 processor, 16GB of storage and a microSD card slot, as well as a 16MP camera on the back, a 2MP front-facing shooter and a 2800mAh battery inside and it’s running on Android 4.4.2. The Samsung Galaxy S5 is the next big thing, and it’s a pretty decent device, complete with a fingerprint reader and a heart rate monitor. And don’t forget it’s water-resistant as well. 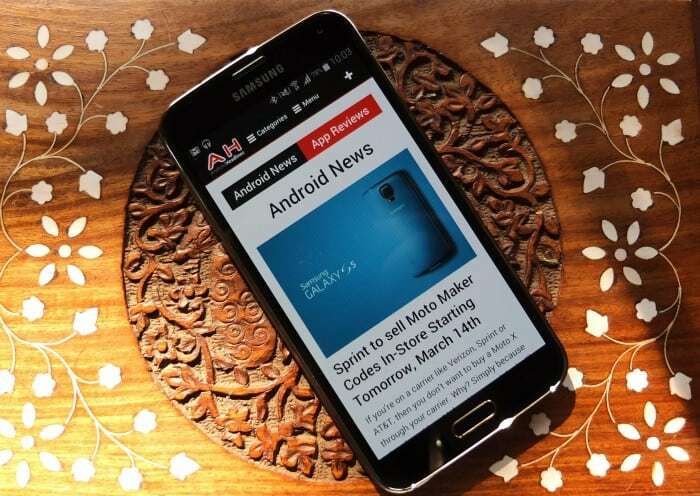 The post Deal: Verizon Samsung Galaxy S5 available for $99 on Contract appeared first on AndroidHeadlines.com |.